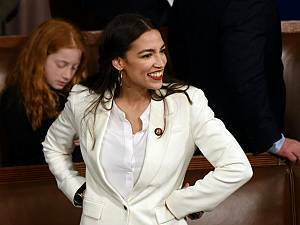 Economic commentators Matt Yglesias, Paul Krugman, and Noah Smith believe Rep. Alexandria Ocasio-Cortez’s (D–N.Y.) call for a 60 to 70 percent top marginal income tax rate is uncontroversial. According to all three, the New York Democrat’s proposal simply reflects the consensus of mainstream economics. But dig into these three papers, and you’ll find the results reflect philosophy as much as economics. These economists think they can plan the distribution of income to maximize “social welfare.” But they arrive at the decision to impose extremely high top marginal tax rates because they uniformly decide to put almost zero weight on the welfare of the rich, writes Ryan Bourne in his latest at Reason.